Use colorful markers, paint and crayons, they are a great way to decorate this Alice in Wonderland free coloring page and many more pictures for your own coloring book. Coloring pages teaches children to concentrate and focus on the task at hand, this will teach them a very important skill needed for their years at school! 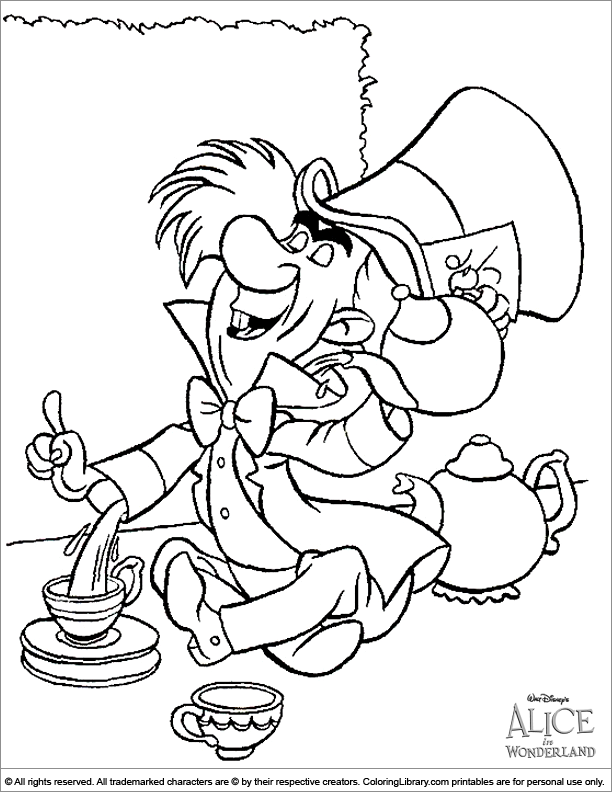 Get many more Alice in Wonderland free coloring pages in the Library.